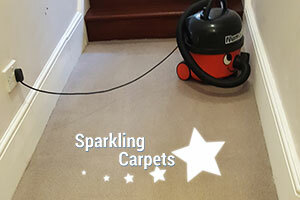 Sparkling Carpets is among the leaders on the market in supplying highly professional carpet and upholstery cleaning services all about London and Great London. We are relying only on highly trained and experienced employees. Our technicians are all Crime and Reference checked, fully insured and fully vetted. They are all friendly, highly motivated and skilled and their leading motive in the everyday work they are doing is to meet the customers requirement and to exceed their expectations. 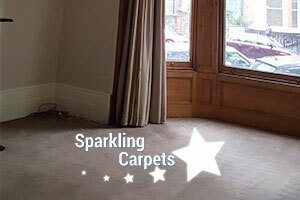 We are well specialised in providing a wide range of carpet, upholstery, rug, mattress and curtain cleaning services. All the equipment we are using is top of the brand set of professional machinery, combined with the highly efficient detergents we are supplying could guarantee the customer a stunning cleaning results. We are the customers best helping hand in the fight against the dirty carpets, the stains and the bacteria. 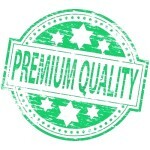 The main goal of our Company is to provide you with a top class service on a very reasonable price. We have established local offices all around London, aiming to be as close as possible to our customers and to be able top react on their cleaning needs with no time. Our Company works 7 days a week, including bank holidays, with prices that remain fixed and independent on the occasion. If you have any cleaning queries, or you would like to set and arrangement with us, just give us a call at your best convenience and we will be glad to serve you! Helps regular cleaning maintenance procedures. We use a specialized steam cleaning machine for the purpose. Water is heated to a very high degree and then applied to the carpet’s surface. This method is used to successfully break down dirty particles and help with stains removal. Can you clean two carpets with one booking? Yes. 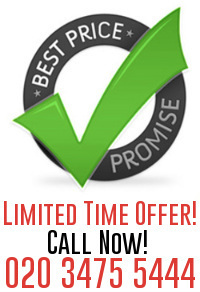 It is possible to book one Carpet Steam Cleaning service, but for as many carpets as you want. We offer the service for hotels and restaurants’ carpets, as well as those in your home! Do you offer combination of this service and another one? Of course. We never had the intention to limit the access or deliver of our services, so we can combine two or more services for you, according to your needs and preferences. With your help, the services can be tailored to fit your needs. How often do people book this service? Upholstery cleaning is often booked by the majority of our regular customers. They rely on the service because it is thorough and the results are long-lasting. Generally speaking, upholstery cleaning, as a cleaning procedure, should be done about two times every year, according to how much you use it. Do you clean office upholstery as well? Yes. Upholstery in offices, hotels, private buildings, private homes, restaurants and any other type of building, can, and will be, cleaned with the help of our cleaning specialists. What type of cleaning products you use? Our professional cleaning teams use only environmentally friendly cleaning products, which help preserve the condition of your upholstery, without causing any damages to the surfaces! YES! We are available every day, every week throughout the whole year. We don’t have problem with working on weekends, and we perfectly understand that, sometimes, this is the only convenient time for you. The One Off cleaning that we offer includes the thorough cleaning of any type of property you need cleaned (one room, office, apartment, house, etc.). 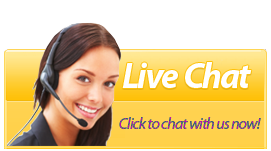 The service is hourly based, which means that we will come and clean everything we can for the time you give us. Can I book the service for my garage? Yes. The One Off cleaning service is available for any type of properties, including garages, patios, basements, etc. Promotes better sanitation in the room. What does Sofa Cleaning Service include? The Sofa Cleaning Service includes thorough cleaning, stain removal and deodorizing the cleaned areas of any type of sofas. The fabrics will be preserved and the colours will be brighter with no visible stains left. You shouldn’t worry about any unpleasant smells either. When should I book the service, how much time before the day I need you to come? It doesn’t matter if you book the service a week before its delivery, or two days in advance. Our cleaners are trained to be effective and efficient, even in the last minute. But if you book it a week before, we will be able to react quicker and find a cleaner to come right in time, when you want. Booking in the last minute, especially when you have a certain day on your mind, can be done, but there might not be a free cleaning expert. We advise you to book a few days earlier. What type of sofas do you clean? Our Sofa Cleaning Service is available for any type of soft furniture – sofas, armchairs, stools, chairs, etc. The methods and techniques, used to clean soft furniture are the same, regardless of the type of furniture, as long as it has some kind of fabric coverage. Can I book the service for, let’s say, five rugs? Yes! It is possible to book the service for as much rugs as you want. Keep in mind that the price for one rug is different from the price for more rugs. We advise you to state the number of rugs at the moment of booking. Are the cleaning procedures harmful to the surface of the rugs? Absolutely not! The equipment we use (cleaning products and tools, machines) are absolutely harmless to the fabrics and surface of any type of rugs, while being harsh on stains, dirt, dust, etc. Are your cleaning products pets-friendly? Yes! 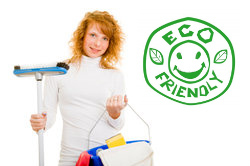 We are nature’s friends, so every cleaning product in our arsenal is completely eco-friendly. Our products are harmless to your health and you pets’ health as well. 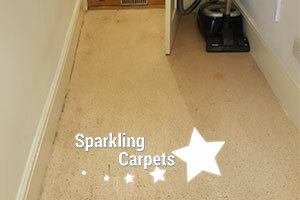 In a case that you need professional care for your carpet in the North part of London you can rely on Sparkling Carpet Cleaners. The latest machines and equipment will be used of well trained and experienced technicians in order to meet your expectations. The express professional care that Sparkling Carpet Cleaners could provide for the residents of North West London will be applied from well trained teams that will do the impossible to get you rid of the stains and worn appearance of the carpet. 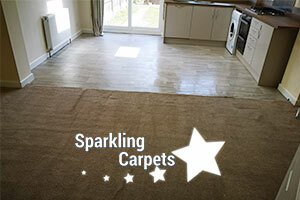 South east London area is covered by Sparkling Carpet Cleaners. Steam technology will be applied to fit your requirements and higher expectations. Only with the power of pure water you will find your soft floor refreshed. 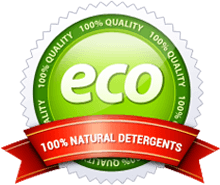 The eco- friendly non- toxic detergents that Sparkling Carpet Cleaners use for your soft floors protect them from colour lost or linen damage. 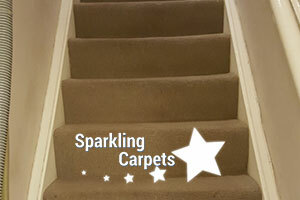 All South West London area could have spotless carpets with bright colours. 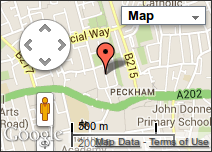 If you are living in West London and need professionally applied carpet cleaning you are at the right place. After the service you will be able to enjoy spotless soft floor with bright colours. You will be impressed with the new look of your carpet finding it like new. 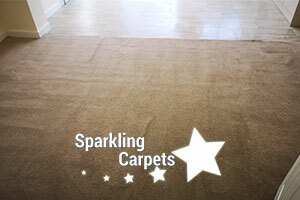 Hiring Sparkling Carpet Cleaners you will have your carpet refreshed and without any stains. In the end of the Steam Cleaning technology that will be applied, your soft floor will be almost dry thanks to the latest modern equipment used for the job. We are ready to do what it takes in order to fit your expectations without hurting your budget. You can even provide the cleaning lady with a list of thing that you want to be done and she will cover them all. I bought my carpet 10 years ago and I had never had it professionally cleaned until last month. I read this article in my favourite newspaper in which the author said that a dirty carpet could contain more bacteria on a square inch than a restroom in a public place. So, without giving it another thought, I started looking for an affordable way to solve my dirty carpet problem. No sooner than I started browsing the web than I came across an ad of your company. I immediately booked your services because your company had the best reviews, and your services seemed inexpensive, too. I had no idea how much dirt my carpet had absorbed. I swear, when your technician finished cleaning it, the carpet looked completely different. I had forgotten how bright its original colour was, really. Your technician not only eliminated every stain on my carpet, but also enhanced the original colour of the fiber. And the best part was that I didn’t have to spend a ton of money for the service. I intend to rely on your professional cleaning company again soon, because you completely transformed the appearance of my carpet and I am really thankful. Having a lot of children automatically means having a big mess all over the house. We are talking about broken objects and water rings on the furniture. Dirt on the floors and carpets is a must. At first I tried to clean everything by myself but it didn’t actually work out very well. The results were either worst stains or nothing at all. Maybe that’s not my thing, I don’t know. Then I decided to seek professional help. I called two different companies before I called you. In the first case the smell they left behind wasn’t something I wanted in my house, I guess I’m intolerable for some types of smells. So there came the second company’s services. The problem there, was that the workers weren’t very friendly and that’s good enough for me to show them the door. Your carpet cleaning services helped me a lot and are still helping me. My mother is really sick and she often drops things and oftentimes that results into stains all over the apartment. The hardest to clean are definitely the stained carpet areas. It is because when we bought them we didn’t think of how we will be cleaning them, but “Look at this beautiful artwork. And on a carpet!”. So the struggle began to get even more serious when I didn’t have the time to do the house cleaning all by myself. I tried it a couple of times but failed miserably, because time really pressured me. I called your company and I didn’t expect much, to be honest. However, imagine my surprise when you got rid of all the stains from the kitchen carpet. Then I decided that it will be a totally reasonable idea to call you every few months to come and give me a hand with the carpet cleaning task. To be honest, maybe more often than planned. You obviously know what you’re dealing with and the results are absolutely amazing.